It is fair to say that not many players will be missing Jose Mourinho at Manchester United. The fans have most certainly put the disastrous reign of the Portuguese tactician behind them, with caretaker boss Ole Gunnar Solskjaer ensuring six wins in his first six games in charge, with the most recent one being a resounding victory over Tottenham. As of such, the defensive ethos of Mourinho seems paltry in comparison with the attacking football that the Norwegian gaffer has made commonplace with the Red Devils. 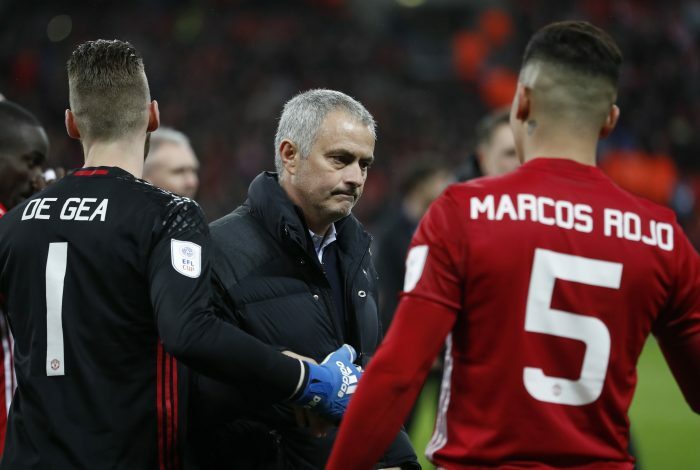 On the matter of defensive football, Mourinho’s failed style could have learned a thing or two from the defensive showing that United put up while shielding their slender 1-0 lead at Wembley. On that night, it was De Gea’s antics that single-handedly secured all three points for the Mancunian side. This is ironic, considering Mourinho once made an awful jibe at the Spaniard. Quite predictably, the comment wasn’t exactly a hit with the crowd, with nervous laughter being the only reaction to the jibe. In fact, the report now claims that most of the Manchester United squad was annoyed with Mourinho for making such a remark, particularly since the event was being broadcasted live. Given such a rapport, it isn’t hard to see why the players may not have been having the time of their lives under the former Chelsea and Real Madrid boss. Further, with De Gea yet to commit his future to the club for the long-term, it is obvious that much of the damage that Mourinho inflicted upon his confidence at the club needs to be amended first.